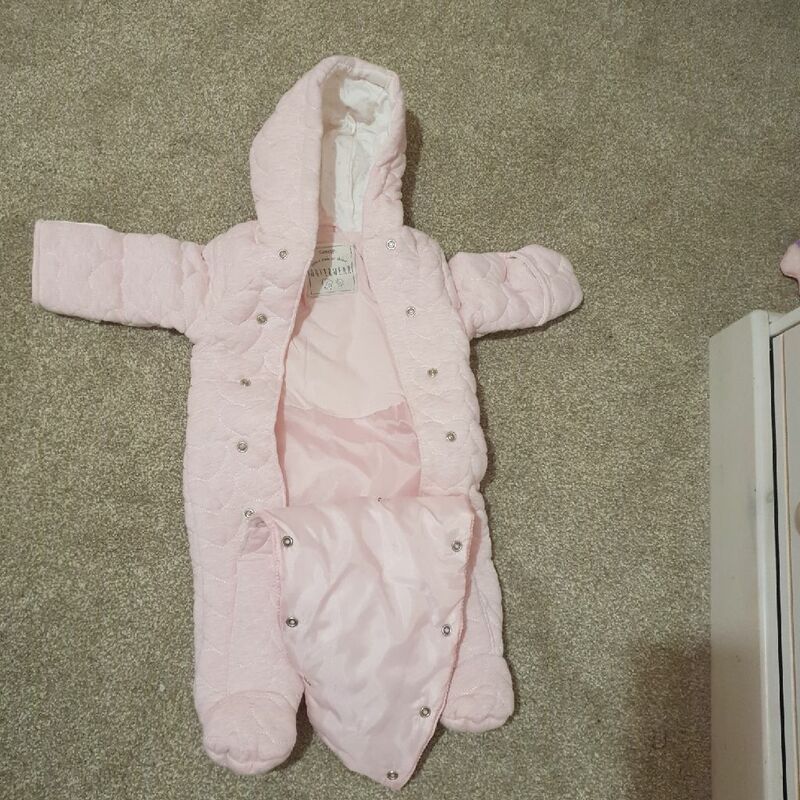 Pink baby snow suit with built in mittens. In excellent condition from a smoke and pet free home. 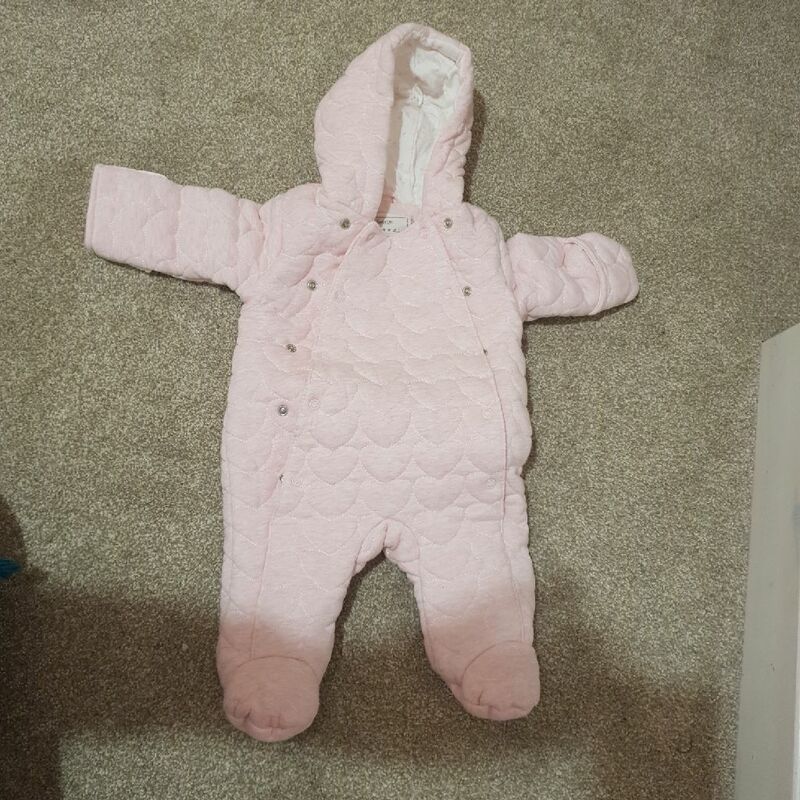 (never been worn) from George Asda lovely a thick material .